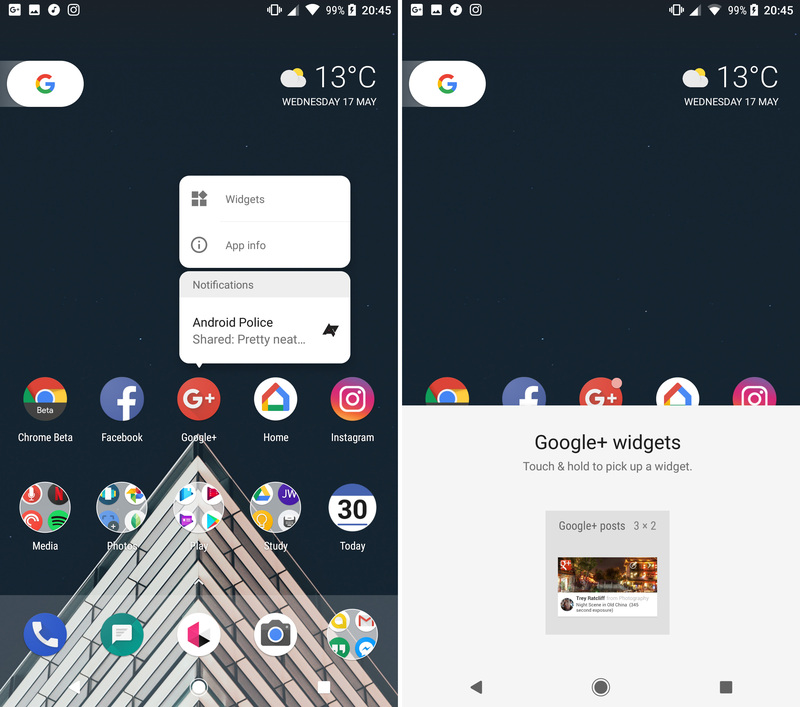 Google began introducing long-press actions for icons in Android 7.1—currently, a long-press in Pixel Launcher can display app shortcuts (previously known as launcher shortcuts). You get more in Android O DP2. We already knew about the previously reported notification dots, but there are also widget links. Upon long-press, icons on your home screen that have widgets will have a floating button labeled "Widgets." You can tap that to open a popup at the bottom of the screen that lists the app's available widgets. Then, long-press and drag it onto the screen normally. There's an app info link there, too. This does seem like a cool feature—it makes the widgets easier to find. However, the long-press is starting to get a bit overloaded. This feature requires the Pixel Launcher from DP2, so Pixel phones on the new preview will have it immediately. On a Nexus preview device, you'll have to sideload it from APK Mirror.